Meyer Riegger is pleased to present Ján Mančuška’s fifth solo exhibition in the gallery, the third one after his premature death in 2011. 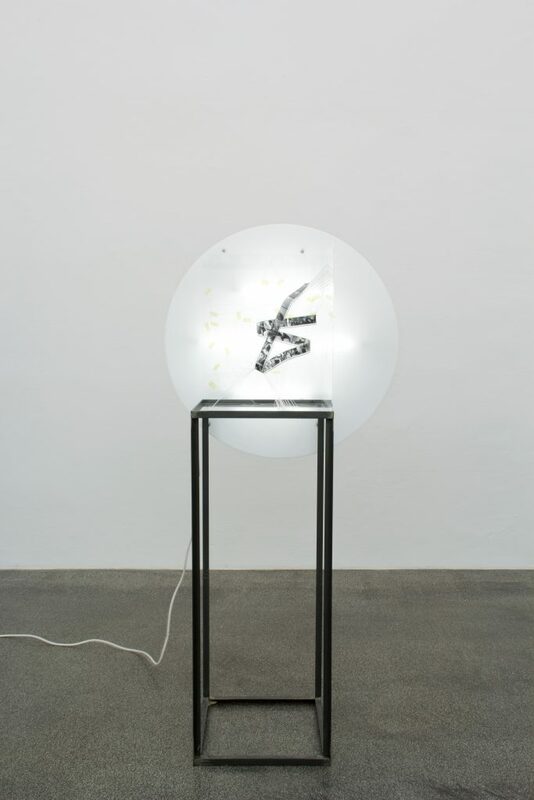 The exhibition presents a key work that has previously been shown at East Bound, Arthena Foundation, Kai10 Düsseldorf; Windows Upon Oceans – Dystopian Realms/Idyllic Meadows at the 8th Baltic Contemporary Art Biennale, National Museum in Szczecin, Poland and Karin Guenther Galerie, Hamburg. 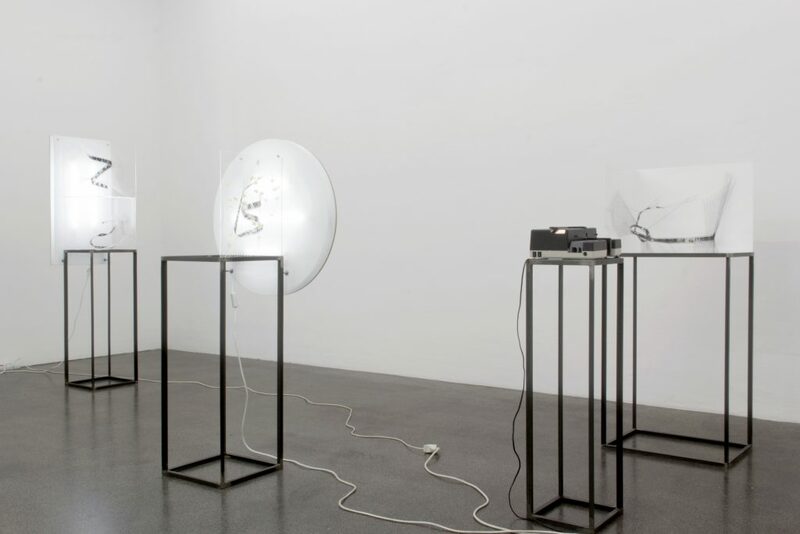 Comprising five finely constructed objects, the installation ‘Oppression Born from an Initial Figment’ illustrates the tale of a couple’s date with destiny. 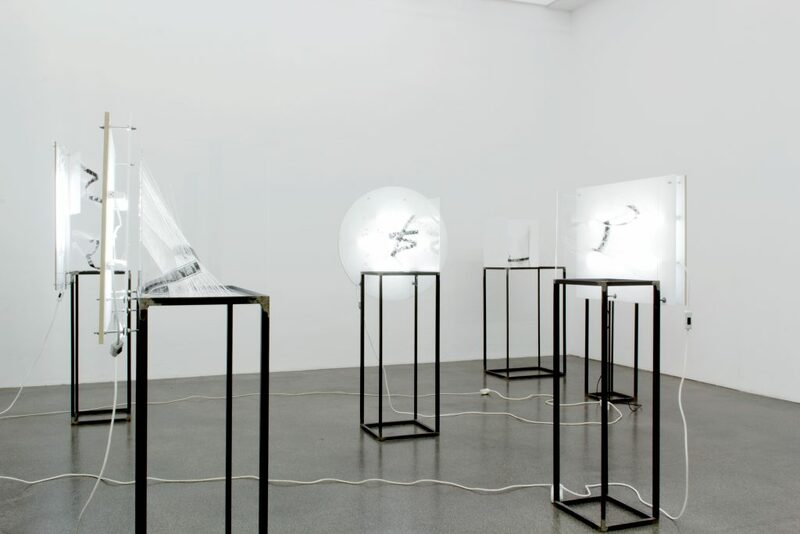 Composed of black and white film strips that are an often used medium in Mančuška’s oevre, which are here spiraling on webs of string, each sculpture’s light-box background illuminates carefully blocked and plotted point-of-view images. A shoe, the hem of a skirt, a deserted street, a shadow on a staircase, a ceiling light-fixture, broken crockery spread across a kitchen floor. Like the storyboard of a motion picture, the carefully crafted narrative tells us what we see, what we expect to see but eventually don’t see, and interweaves perspectives and individual perceptions of the storyteller, the protagonists and the viewer, by assuming that those three can be told apart. But can they? The visual assumptions and the imaginative power of the narrative are being questioned as we follow the story which unfolds towards the female protagonists mysterious duplication. The double and the reflection not only of people but also of places are an often recurring figure in the work of Ján Mančuška, duplicating reality or the appearance of the other. Which is also the case in the work „The Painting Vol VII“ opposite the installation of filmstrip sculptures. 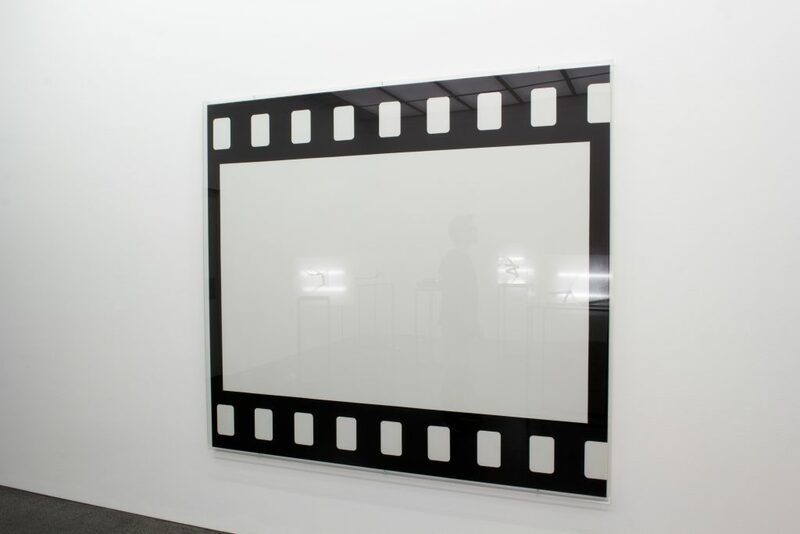 In its reflective surface the empty film frame allows the outside to fill the void. Jan Mancuska ‘Oppression Born from an Initial Figment’ 10.03. – 08.04.2017. 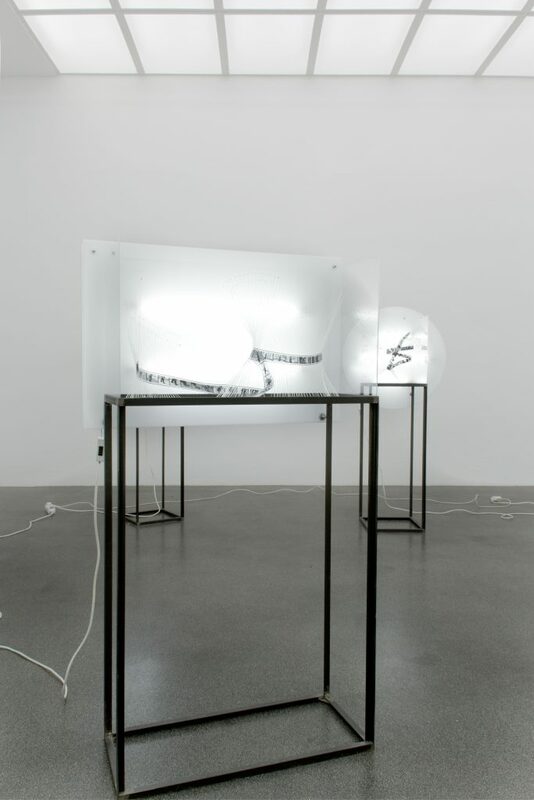 Installation view at Meyer Riegger. b/w film strips, thread, sequins, lightbox, plexiglas on metal plinth 144 x 82 x 41 cm. enamel on canvas, plexi glass 202 x 182 x 3 cm. 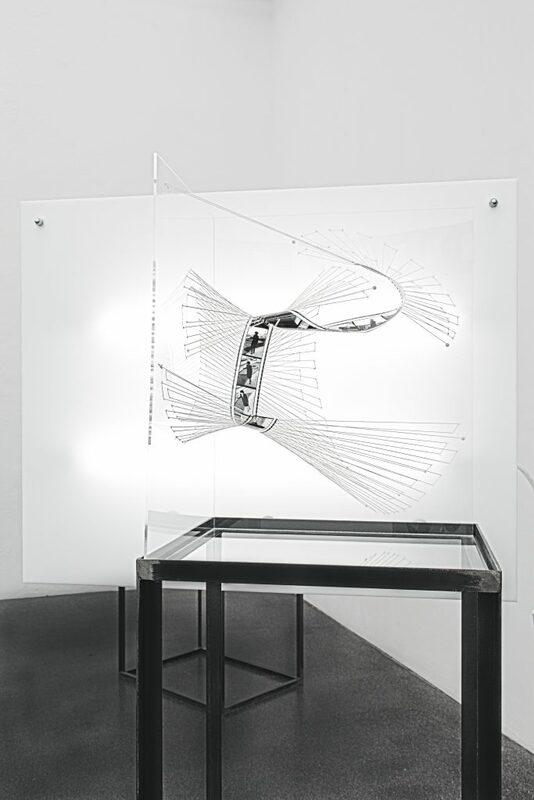 b/w film strips, thread, sequins, lightbox, plexiglas on metal plinth 144 x 67 x 38 cm. 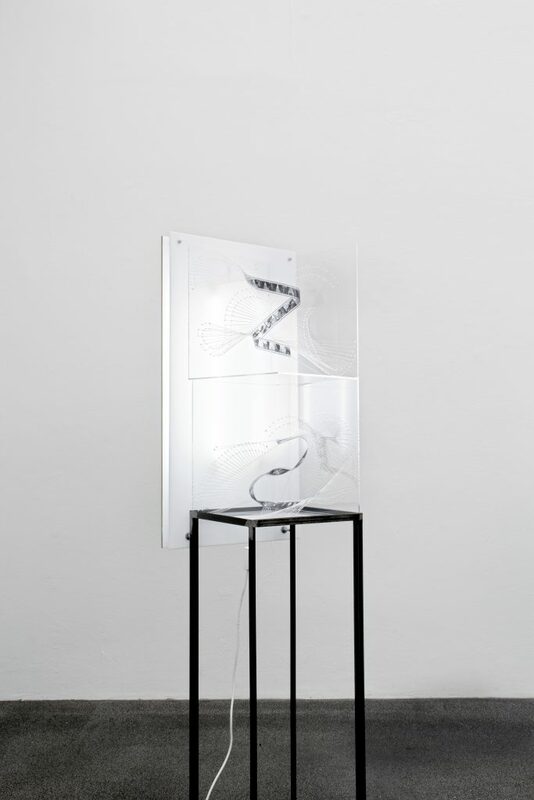 b/w film strips, thread, sequins, lightbox, plexiglas on metal plinth 183,5 x 48 x 47 cm. 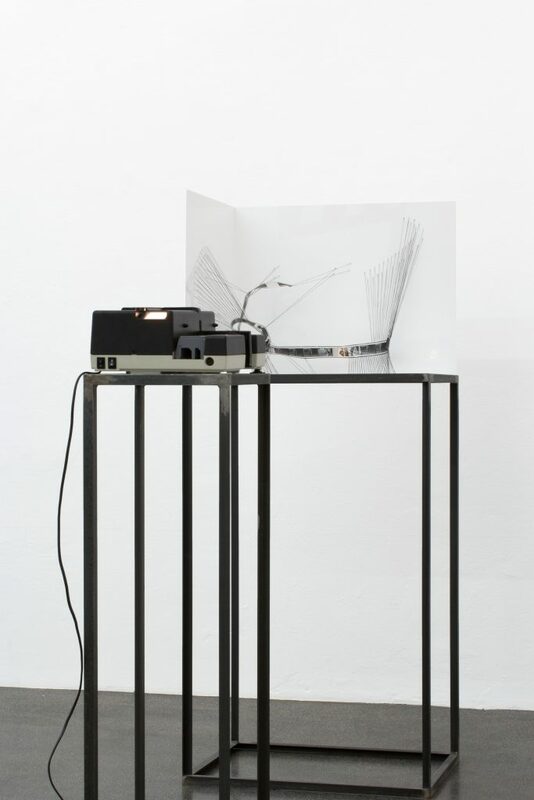 b/w film strips, thread, tape, lightbox, plexiglas on metal plinths 156 x 75 x 48 cm.